We’d love your help. Let us know what’s wrong with this preview of The Shamanic Journey by Paul Francis. "This book, if you let it, will take you on a journey... you will experience first-hand the healing power of shamanism, and your eyes will be opened to a world of mystery and potential that has been there all along. You don't need any special talents or powers, just an open mind. And you will trust this new way of being, because you will personally experience it. To say th "This book, if you let it, will take you on a journey... you will experience first-hand the healing power of shamanism, and your eyes will be opened to a world of mystery and potential that has been there all along. You don't need any special talents or powers, just an open mind. And you will trust this new way of being, because you will personally experience it. To say that this will change your life for the better is a remarkable understatement." - from 'The Shamanic Journey'. 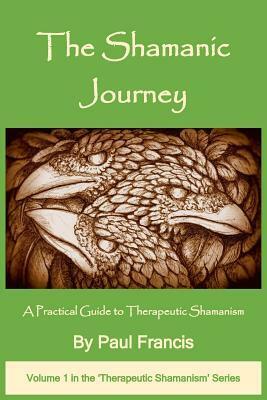 To ask other readers questions about The Shamanic Journey, please sign up. Great introduction to shamanism, brilliant how he links psychotherapy and shamanic tools to help you navigate the stresses and strains of modern living.